Congratulations to GM Rustam Kasimdzhanov for winning the first Central Asia Chess Cup of the FIDE President Kirsan Ilyumzhinov that was held from October 17-27 in Tashkent, Uzbekistan. Players from Uzbekistan, Kazakhstan, Tajikistan, Turkmenistan, Kyrgyzstan and Afghanistan were invited to take part in the tournament. The chess tournament is organised for popularising chess in the Central Asia. The tournament was played in 9 rounds, Swiss System with 53 players going for a total prize fund of $25,000. Former World Champion Rustam Kasimdzhanov and GM Anton Filippov entered the final round with equal points but then Filippov was stunned by the untitled Begali Saidov, while Kasimdzhanov outplayed GM Marat Dzhumaev. 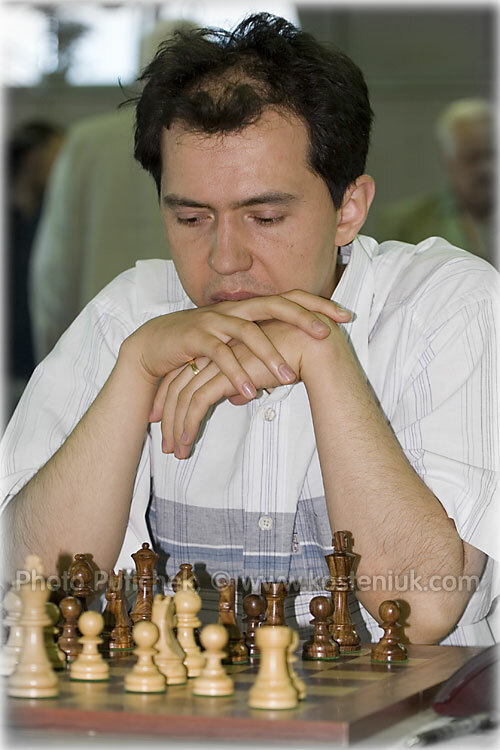 Kasimdzhanov finished with 7.5 points. GM Pavel Kotsur and Begali Saidov shared the second place with Anton Filippov at fourth place. You can access the official website at this link for more info. Is he helping Anand for the world title 2012? He's been keeping a low profile like Morozevich and Kramnik. But good to have them all return including Topalov. All the best Rustam. When he once played in India on becoming world champion I presented him a cartoon of his. He was very happy.